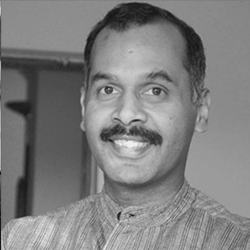 PR Ganapathy is the President of Villgro, a well-known funder and incubator of social enterprises, and a co-founder of the Menterra Social Impact Fund. He is also the co-founder of Haqdarshak, a social enterprise. Prior to moving to the development sector in 2011, he worked at large Indian corporations and co-founded a US – head-quartered venture-funded start-up. He has an MBA from IIM Ahmedabad and an Honors degree in Mathematics from Hindu College. Villgro President PR Ganapathy has met with hundreds of early-stage social entrepreneurs – and he's noticed that they keep making the same mistakes when seeking impact investing. As part of NextBillion's “Survival Guide for Raising Capital” series, Ganapathy shares three essential tips to help entrepreneurs avoid some common red flags when pitching impact investors. Social Entrepreneurs are driven by their selfless desire to make the world a better place. They often fail to realize that not everybody out there is as altruistic as they are.